Building a stunning website is now easier than ever! Then just $29.95 per month after your trial ends. Choose from OVER 200 stunning templates and get online in just a few minutes. With hundreds of templates available, building a truly stunning website is as easy as choosing your favourite design. With 100’s of templates available, there’s something for everybody. Make your website your own with the VIPBuilder drag and drop interface. Ready to go online? It’s as easy as clicking the publish button. Making changes to your website and adding new content is simple thanks to the intuitive drag and drop interface. 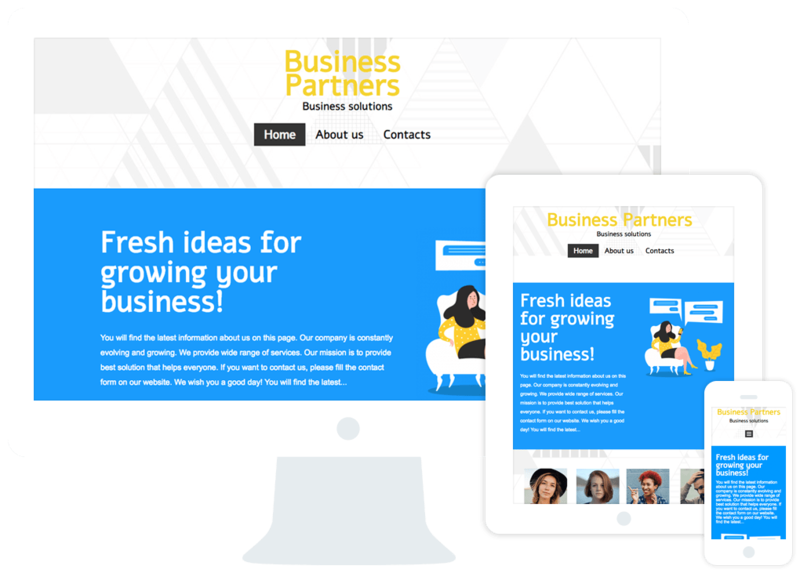 Easily optimise your website to be fully-responsive or tailor the experience for each individual device. Once you’ve created a stunning website, getting online is as easy as hitting the publish button. Easily connect with customers, promote your products, and integrate your business with social media. Give yourself a headstart with the VIPBuilder import tool and begin rebuilding your masterpiece today. Trusted by 200,000+ satisfied customers, we’re 100% Australian and here for you when you need it most. Unlike other website builders, the VIPBuilder comes out-of-the-box with unlimited pages. No add-ons or hidden costs necessary! We give you the freedom to build the website you’ve always dreamed of… and that means more storage space and faster speeds. Don’t risk your website going down during a sale or in the middle of an advertising campaign. Stress less with unlimited bandwidth and unlimited visitors. Your website should snap, crackle, and pop at all times! You’ll never have to worry about long load times or slow speed thanks to a HUGE 4GB of RAM. These powerful Intel CPU cores are the absolute best-of-the-best when it comes to hosting… your website will literally fly with 4 vCPU cores under its wings! Unlike other website builders, we don’t charge extra for you to connect your domain name to the VIPBuilder. We even let you use it during your 30-day free trial. From built-in news feeds to like, share, and retweet buttons, the VIPBuilder drag and drop interface makes connecting with customers simple. Enjoy the freedom of building your own eCommerce store and begin selling products in just a few minutes! With a range of payment gateways available, you’re sure to find what you need. With thousands of creative commons images available at the click of a button, easily create a unique website that fits your theme. Need to communicate with your customers in real-time? Easily integrate the tawk.to Live Chat widget into your website in just a few minutes. Customers need to know where you are and what easier way to give them directions than to have Google Maps right there on your website! Our Melbourne-based team is 100% Australian and are available 24 hours a day, 7 days per week. You can get in touch at any time via Live Chat, eTicket, email, or phone. Pay nothing for 30 days. Cancel anytime. No lock-in contracts. Still not convinced? Here’s what our customers have to say about VentraIP Australia. 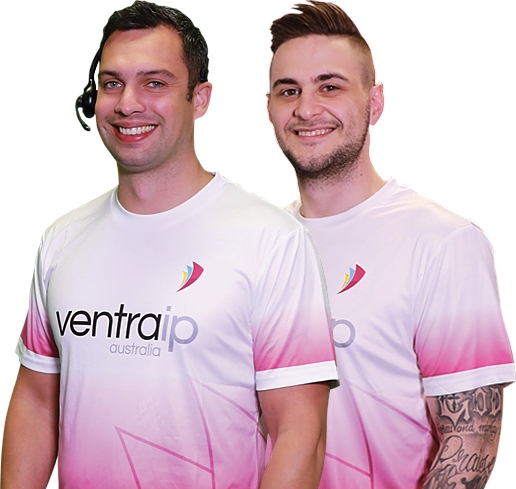 "VentraIP Australia has it all - fantastic support, a reliable service I can depend upon for myself and my clients and a sense of community lacking in so many businesses. I'd recommend them to anyone." "If you need website hosting - You NEED VentraIP Australia. I have been with them for over a year now after being with other companies and am still blown away by their customer service support." How do I claim the 30-day free trial? By signing up for the VIPBuilder, you’ll automatically receive the first 30 days free! It’s as simple as that. How do I prepay for my website? At this point in time, we’re only allowing monthly billing cycles for the VIPBuilder. If you really like the product, speak with our Sales team about prepaid periods. How do I connect my domain name? Connecting your domain name is simple. You just need to point your nameservers to VentraIP Australia using the details provided in your welcome email.